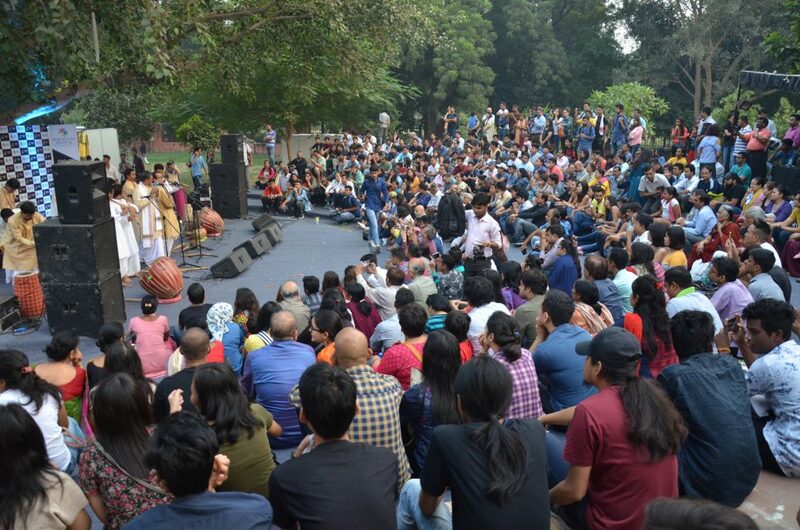 With a mesmerizing performance by internationally acclaimed Khasi musician Lou Majaw, vibrant folk dances and a sustainable fashion show from designers, the curtain comes down on the three-day North East Festival at the Indira Gandhi National Centre for the Arts in New Delhi on Tuesday. 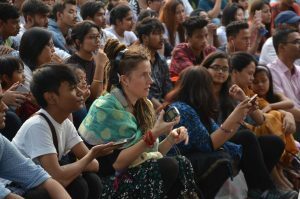 The sixth edition of the fest, with an aim of connecting the eight north-eastern states with other regions of the country, saw a footfall of over two lakh people making it a tremendous success. 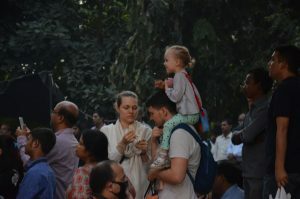 Shyamkanu Mahanta, chief organizer of the event, was visibly elated to see the kind of response he got from the people in Delhi despite having limited resources and support from the Government. “We are glad that the festival has become a huge hit as it was completely impossible to have successes of this kind with a limited support from the Government. We completed the sixth edition of the festival this time and it’s really difficult to conduct a festival of this stature. I must extend my thanks to media for giving us due platform through their extensive coverage,” Mahanta said. As Assam has a rich heritage of fabrics be it muga silk or eri silk, NIFT graduate Jagrity Phukan decided to present her collection, which she specially designed for the fest, showed recycling of some of the old fabrics from the closet of her grandmothers. The other USP of her collection was footwear that was made out of leaves and bamboos. Her collection stole the heart of every fashionista. “This is my third time in North East Festival. It’s a long association with them and I love coming back to it because it’s like returning to your roots. When the root grows, then only a tree grows. My collection is inspired by my grandmother’s summer closet. My mom and grandmother have a lot of cotton stoles and the best part about them is that they used to weave them on their own. I decided to recycle them,” Jagrity said. The festival also launched Northeast Matrimony. Northeast Matrimony is the first and only exclusive online matchmaking portal with a professional directory services for the people of Northeast India and the non-resident Northeast Indians. The fest kick started with a food walk that highlighted the organic cuisine of the states and at the same time busted the myth that Northeast food only comprised of pork and beef. 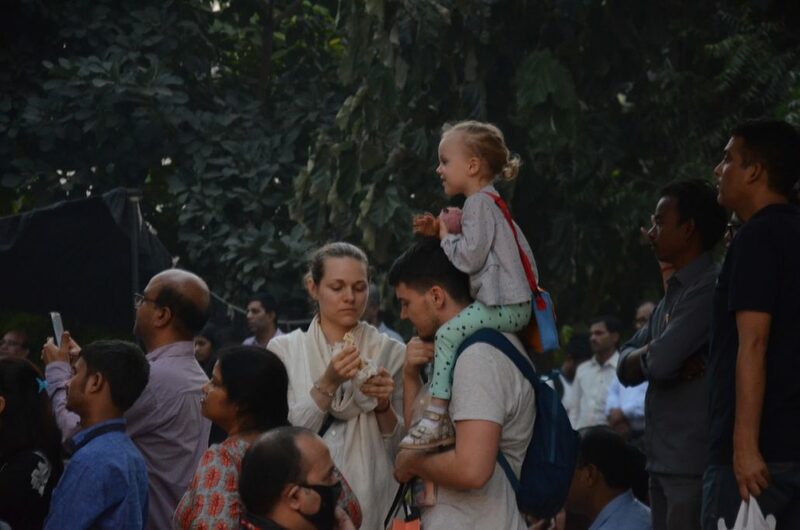 This time the festival also put a stress on a lot of vegetarian delicacies from the states so that vegetarian food lovers can also enjoy and know about the food. 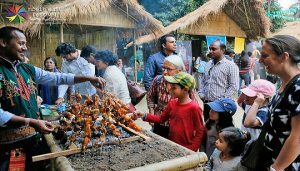 For the festival visitors, food stalls were one of the main attractions of the cultural extravaganza. Before Diwali, the fest was also a right stop for buying the furnishing items including bamboo couches, lamps and table coasters. The craft stalls also had handloom cushion covers, bedsheets, carpets and shawls besides beautiful muga silk sarees, mekhela chadors, kurtis and dresses. For the first time, the festival also conducted an exhibition of glamorous fashion photographs to adorn the walls. Besides textiles and food, the festival had a spot for animal lovers too. The stall Just Be Friendly (JBF) raised awareness against animal birth control, rabies control and dog bite prevention. “We are often portrayed as the dog-eating region. But there is much more than that. We also care for animals and love them. So, to bust the myth, I choose this platform to talk about this issue through my stall,” Dr Sashanka Sekhar Dutta, chief functionary at JBF, said. 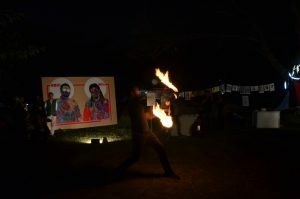 North East Festival also created a dedicated creative zone to pay tribute to Nilotpal and Abhijeet who became the victim of mob lynching in Assam. “Remembering their association with the festival, we showcased their creativity and tried to create awareness about the lynching issue,” Ridip Das, a friend of Abhi-Nil said. The last day also felicitated the winners of the rock battle, a major attraction of the youth during the fest. Delhi-based Indie band ‘The Khalnayak’ took home the winner trophy along with a cash prize of Rs 50,000 and a three show contract with a leading music company.